Never one to shy away from any animal, I went right up to the dog. What happened next was a blur. I remember bending over a bit when all of a sudden the dog lunged at me. When I picked up my head, I instinctively covered my face with my hands. The young boy, horrified, yelled, “My dog bit you,” and ran inside. I stood there covered in blood. The boy’s mother, a nurse by trade, ran outside to see what had happened. She took one look at me and ran back inside to grab clean towels and ice. I was in no pain, but I could see that everyone around me was visibly upset which made me quite uneasy. In a few short minutes, the young boy’s dad was driving me to the hospital. The thirty minute drive seemed like an eternity. Few words were exchanged. However, I do remember the father repeatedly stating that he hoped that my nose was not broken. Not terribly comforting words. Upon arriving at the emergency room, I was sent directly in to see a doctor. My mother would arrive shortly after. She came into the room and asked me to remove the covering from my face. I did, and she promptly asked me to cover it again. We waited for quite a while in the emergency room that evening. A plastic surgeon was called. I remember his name, Dr. Tuckman, which I thought was a rather funny, yet appropriate name for a plastic surgeon. He was wonderful. He was incredibly calm and had a soothing voice. I remember him looking at me in the face, something that most had evaded doing that evening. He had an incredible bedside manner. He spoke very plainly and tenderly to me. He assured me that he would work carefully and slowly to piece me back together. He commented that once he had completed his work, there would definitely be some pain and my face would look beat up, but I needed to trust him. He knew what he was doing and with time the scars would fade. I would come to find out that my nose was severed in two, punctured, and torn. I remember going home that evening and heading off to bed in silence. The following morning I examined myself in the mirror and cried. My face was discolored and swollen with lines of black stitches all over. I was a mess. With time, I began to heal. The swelling and discoloration subsided, and eventually all of those stitches were removed. What was left was nothing short of amazing. Eventually my scars were undetectable to the casual observer. I imagine that most of our bodies bear a scar or two, and each of them has a story to tell. Some stories are painful, others humorous. Some traumatic, others a badge of honor. Scars are evidence of both the pain our bodies have experienced and the healing that has taken place with time. It is interesting how the two are married, how pain and healing work together hand-in-hand. While scars typically fade with time, they never completely disappear. There is always a remaining bit of evidence of past pain. Not all scars are the same. While some scars are obvious and out in the open for all the world to see, others are nearly undetectable or completely hidden from view. Many people bear their scars alone or in secret: The scars of wrong choices, missteps, and foolishness; at innocence lost, of sickness, of loved ones gone too soon; of harsh, cutting words, of disappointments, rejection, and failure. Some scars cut down deep into one’s soul and change the very fabric and make up of who we are. They shake our very core and change the course of life. Most of us likely bear both types of scars. There are so many people with a story, so many people whose scars speak. So many people who have experienced hurt. So many people who still look for healing from their scars. For some, healing is elusive. Many look for ways to soothe the hurt, to cover the pain, to forget it all together. During this Easter week, I am reminded of how true and lasting healing is possible. There is one set of scars that heals. I can’t help but reflect on the ultimate story of pain and healing; the most powerful story found in the scars, the story of my Lord. The Easter story doesn’t begin with Easter or Christmas, it begins before time. Our Lord knew our desperate need; He was keenly aware of the separation that sin would cause between our Heavenly Father and His people. In His infinite love He sent His son to be born a man with the sole purpose of dying to redeem me. Me…an undeserving, sinful soul, in need of a way to Him. So Christ bore my sin on the cross. He was wounded for my transgressions. He was beaten and scarred and became a vessel for the Lord’s wrath, all to pay the penalty of my sin. All for me…for you…because of love. 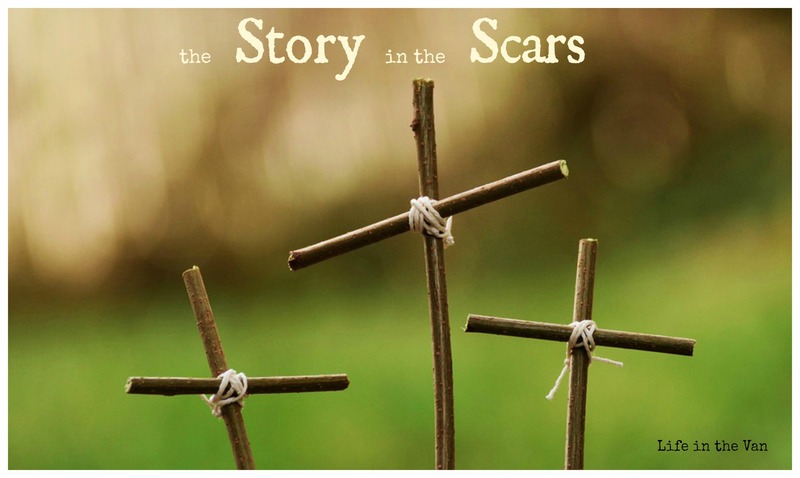 Through His scars we can experience true healing, healing from our sins. His sacrifice has loosened the chains that bind us, has bridged a great chasm, has restored us, has healed us in the truest sense of the word. His resurrection defeated sin and Hell. Would you consider who Christ is this Easter? Would you contemplate those scars and the story they tell? Do you search for healing? You need not look any further than Christ. the punishment that brought us peace was on Him, and by His wounds we are healed. It happened every year. Two Christmases. Two days that were as stark a contrast as could be. Two Christmases – one meager, one abundant. One Christmas, simple, sacrificial, full of significance and hope. The other, extravagant, a balm to soothe the guilty soul, void of meaning. If growing up in a divorced home had one perk, it would be this: double holidays and birthdays. As a young child I quickly made the connection that a double holiday equated to double the number of gifts. A birthday with mom, a birthday with dad. Christmas at home, Christmas with dad. Christmas at home with mom was simple. We enjoyed decorating together. The moments we spent hanging our knit stockings on the banister, adorning our tree, and arranging hand painted figurines were cherished family times together. Evening car rides were highlighted by our traditional Christmas light search. Eight track tapes played Christmas music throughout the house, and I sang along with vigor. The weeks preceding Christmas focused on Christ, on His birth, and on the hope that it not only brought to a searching world many years ago, but on the hope to which it could bring to men today. Even at a young age I understood the significance. Christmas was not about the gifts under the tree but rather the gift of Christ. When Christmas morning arrived my brother and I would quickly run downstairs to peek at the tree and the unwrapped gifts. And while the spread of gifts was sparse, there was never a frown, never a complaint, never a dissatisfied twang between us. We knew. We simply knew that Christmas was a sacrifice for our mother. 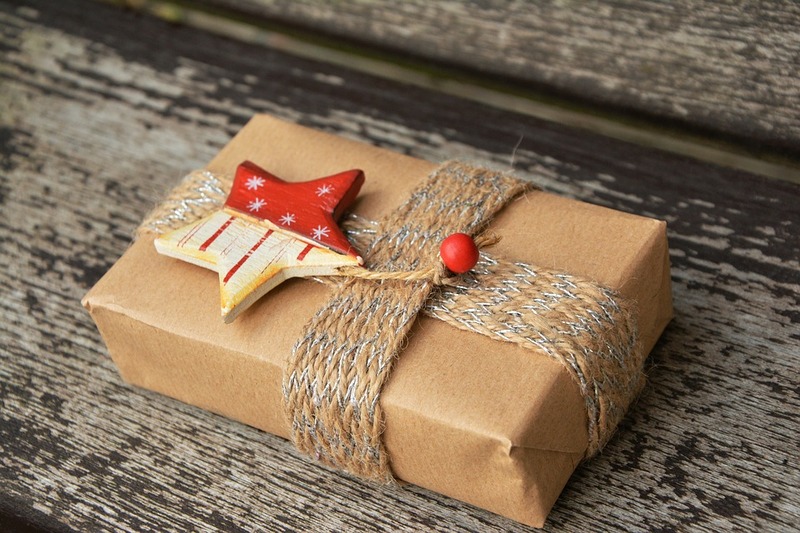 We understood that mingled between the stress of paying the bills and feeding her family was the desire to somehow have a Christmas with gifts under the tree and trinkets filling our stockings. More times than not there was someone who helped, a secret someone with an envelope to ease mom’s burden. We knew. So after we forcibly pried our mother from her slumber, we enjoyed Christmas morning together. We slowly opened gifts and were thankful. 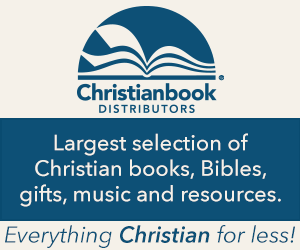 We read from the Bible and were reminded of Christ’s humble earthly beginning. Christmas was special and full of meaning despite of, or because of, it’s simplicity. Christmas at home with mom meant Christmas with Christ; it meant Christmas because of Christ. He was never given a back seat, was never an after-thought. He truly was the reason for the season. He was and still is the grandest gift of all. No wrapped gift checked off a wish list can compare. An empty stocking or a solitary present under the tree could not put a damper on Christmas. We knew…we simply knew what Christmas was all about, and it filled our hearts with great joy, a joy that spilled over even after the last ornament was tucked away. Despite our needy state abundant joy, happiness, and hope was to be found on Christmas day. Shortly after Christmas, my brother and I would spend a few days with our dad to celebrate the holiday. The relationship we shared with him could best be described as strained; he had left when we were quite young. Typically, we were less than enthusiastic for our normal weekend visits. But Christmas visits? Well now, that was another story. See Christmas with my dad was the epitome of abundance and excess. We came to know from experience that our dad would shower us with a copious amount of gifts. Anything we wanted was ours. When we would arrive at dad’s house, we would immediately run to the living room. I imagine that our mouths gaped open at the sight of the mountainous pile of gifts. There were boxes big and small, all brightly wrapped. There were bikes and play cars, televisions and stereos, even a pinball machine one year (no joke). There were years of such abundance that we lacked adequate room in the car to transport both children and gifts back home. Despite the plethora of gifts, Christmas with dad was always lacking. It was missing something that no earthly, material gift could replace. There was a void present that no number of gifts could fill. Had there been no gifts, there would have been no Christmas in my dad’s home. What was missing from these Christmases was Christ. Christ’s absence was very obvious to me. His name was never uttered. He was never referenced to. His image never seen. No nativity, no manger. No opening of God’s Word. My father never understood Christmas. He never experienced its significance. I would have exchanged every gift ever given to me simply for him to have known who the Jesus of Christmas was and why He came. Dad never realized that Christ is the true giver of joy, and apart from Him, joy is at best momentary and fleeting. As I reflect on these two Christmases, I am thankful that the Lord allowed me to experience both. They have been etched into my memory and serve as vivid reminders of what Christmas should be, as well as what it must never become. Maybe Christmas seems to lack significance in your life. Maybe you find that despite the fact that gifts are in abundance and your stocking is filled to the brim, your heart feels empty, like something is missing. I would challenge you to consider Christ this Christmas. For only Christ will fill that void. Only Christ will satisfy a hunger, a deep longing for something more. Only Christ will bring hope, joy, and peace into your life. I pray that this Christmas you will discover that tiny babe in a manger and see how your life can be changed forevermore. Maybe you don’t know who this Jesus is. Why did He come to earth in the first place, and why should it be important to you? I would encourage you to take the time this Christmas season to listen and discover the Jesus of Christmas. With those three small words, our Savior bowed His head and gave up His spirit (John 19:30). Although this chapter of Jesus’s earthly ministry had concluded, His work was far from done. His finished work on the cross and His resurrection loosed chains and broke bonds Separation was no more. The chasm was bridged. Sin and death were conquered. The finished work of Christ was my new beginning. The work of Christ is a story of a love so great, so selfless, so sacrificial, we may never fathom its depth. It was that love, His sacrifice, that made a way. A way to be free of the burdens we carry. A way out of the muck and mire. A way to have victory over sin. A way to be new. A way to the Father. All other ways only lead astray. All other efforts only fall short. The Lord knew that my best efforts would never be enough; they would be as filthy rags. Only the work of the cross would be enough. It would be all that I need…all that you need. Our Savior still lives today. He is not on the cross, nor does His body fill the tomb. He sits at the right hand of the Father, and He is at work. He is opening hearts and minds. He is calling people to Himself. He is making new beginnings. His finished work can be your new beginning. Jesus tells us to come. Come with your burdens; lay them down. Come with your sins; have them washed clean. Come just as you are, so you don’t have to remain just as you are. He offers you a new beginning, a new start, a new life. It comes only through His cleansing blood, only through the cross. He’s calling you to come, not to be part of a stringent set of Medieval rules and regulations, but to come to a haven of rest, hope, and forgiveness. A place where grace, mercy, and love flow freely. He’s calling you to come to His open arms, to be embraced and held and comforted in way that no one else can do. Colorful eggs and adorable bunnies soften the reality of the blood-stained cross and the crown of thorns. But it is through that cross and because of those thorns that we have freedom…forgiveness….new life in Him. May you find a new beginning this Easter. May you find the Savior, Jesus. May you find the hope and love you have been searching for in the finished work of Christ. He was handed over to die because of our sins, and He was raised to life to make us right with God. During our church’s Christmas cantata, I was struck with one small phrase: “God wastes nothing.” The words on the screen seemed to penetrate my heart. I kept repeating them and repeating them in my mind; I didn’t want to forget those three small words. There have been times when I have given into sin and let its grip tighten around me. Where my actions seem wasteful. Yet, God has always done nothing less than love me and forgive me during those times. I simply needed to humble myself and ask. Each time He has used my struggles for His purpose and turned my mess into a glorious story of His grace and mercy. That’s why Jesus came, so nothing would be wasted. He lowered himself to come as a baby, to live among men, to be despised and rejected, and to die, so that my life could be redeemed, so that I could have hope, and most importantly, forgiveness and freedom. He was born and died so that our struggles, our pains, our sin wasn’t a waste. When we are washed by His cleansing flood, He transforms us and takes all of the complicated and messy parts of us and uses them for His glory. The months of November, December, and January are special to me. They are reminders to me, reminders to be thankful for the birth of my Savior and the new life that He gives. Jesus came so that nothing would be wasted. Several weeks ago our family was blessed with a much needed vacation. Our destination was, what I called, “The Middle of Nowhere,” Tennessee. It was a glorious place, a place where cell phones, WiFi, and GPS were obsolete and unavailable. I imagine for some, that may seem like a frightening place, but for my husband and I, it was exactly what we had hoped for. With the end of our first day approaching, we sat staring out at the lake as the remaining light of day faded away. That evening, there was no moon. In short time we were left in complete and total darkness. One of my kids exclaimed, “Whoa! This is dark.” He was right. I had never experienced darkness like this, and I’ve been camping, in a tent, in the woods before. I have to admit that it was a bit unnerving for me at first. As we stood there silent, it dawned on me how still it was. How peaceful. It was just the five of us, away from the hub-bub, the busyness, the distractions…away from everything. With the kids in bed, I returned to the deck. By now, the sky was filled with a host of flickering stars. They seemed to dot every corner of the sky. We don’t see stars like this back home. There’s too much going on: street lights, car lights, businesses lit up. They all prevent us from seeing the sky clearly at night. It’s only when you remove yourself, get away, distance yourself from the distraction, that you are able to see clearly. That thought hit home. I suppose the same principal applies to life. Each evening I found myself drawn to the back deck overlooking the lake. The stillness was refreshing. I’m not just referring to the stillness of the back woods of Tennessee, but also to the stillness in me. I imagine that you and I are a lot alike. Your list of responsibilities, places to go, and things to do is long, and your time seems so very short. It’s hard to be still. What I discovered in the stillness of those evenings was that I was able to hear so much clearer. I heard the sounds of the nighttime owl, the subtle splash of the water, the rustling of the trees, but most importantly, I heard the still, small voice of the Lord. That’s what really drew me back outside each night. What would the Lord say? What would He impress on my heart? What would He show me? Quiet time took on a whole new meaning for me. I soon discovered that with stillness comes thought, and with thought comes reflection, and with reflection comes conviction. Maybe that’s why more of us are not still because when we really are still, the Lord may tell us and show us things that need to change. Busyness tends to prevent us from reaching those much needed areas of reflection and conviction. As our vacation came to an end, I enjoyed one final night outside. The brilliant stars brought my thoughts back to Bethlehem, to the night unlike any other, the night of The Savior’s birth. The shepherds sat out in darkness, in the fields, away from the lights and busyness of the city. I imagine it was quiet and peaceful. I imagine the shepherds may have been still. I imagine they were able to hear the sounds of the night. The scene in the city of Bethlehem was likely different. Others were milling about the city, a city filled to the brim with people waiting to partake in the census. There were too many people and not enough rooms. They were likely looking for lodging, seeking out food, and hoping for rest. I bet Bethlehem was bathed in a flurry of activity and noise. Yet, all the while, the city lay unaware of the events that would unfold that night. A man and woman would make their way into town, seeking shelter, anticipating a birth like no other, the birth of The Savior, Jesus. I often think about how many people missed Jesus that first Christmas. Oh, how easy it would be to miss Jesus this Christmas. How easy it is for Him to be pushed behind the presents, cards, cookies, gatherings, and lights. 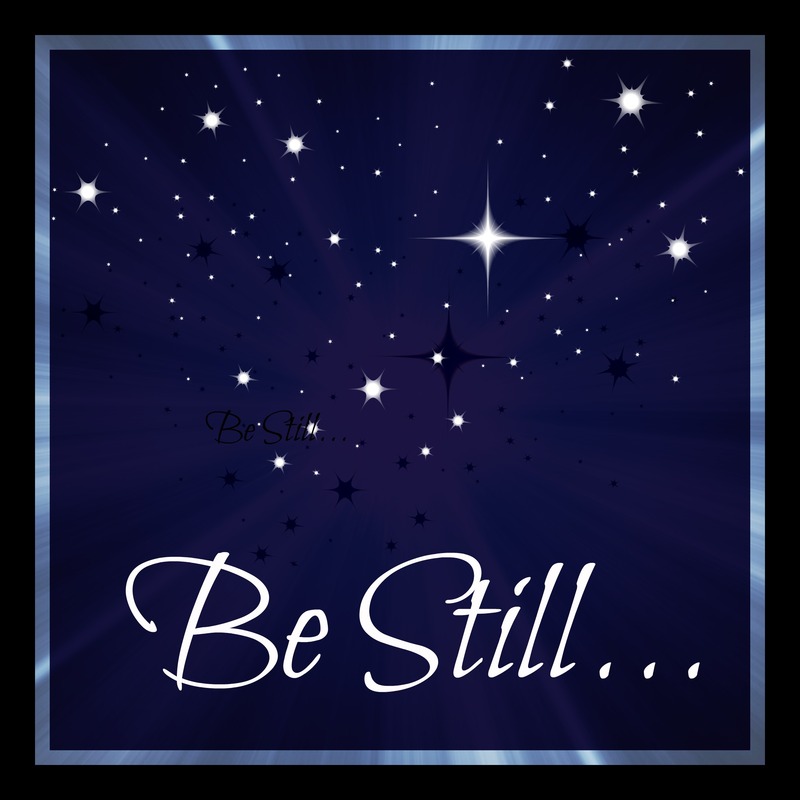 I want to encourage you to be still in these days leading up to Christmas. Take away the distractions so that you can see the true beauty of Christmas, the beauty of Christ and His great love for us. He humbled Himself, coming to earth as a Babe, fully God, yet walking among men. He came for one purpose, to be the atonement for sin, to die for you, for me. 1 In those days Caesar Augustus issued a decree that a census should be taken of the entire Roman world. 2 This was the first census that took place whilea Quirinius was governor of Syria. 3 And everyone went to their own town to register.